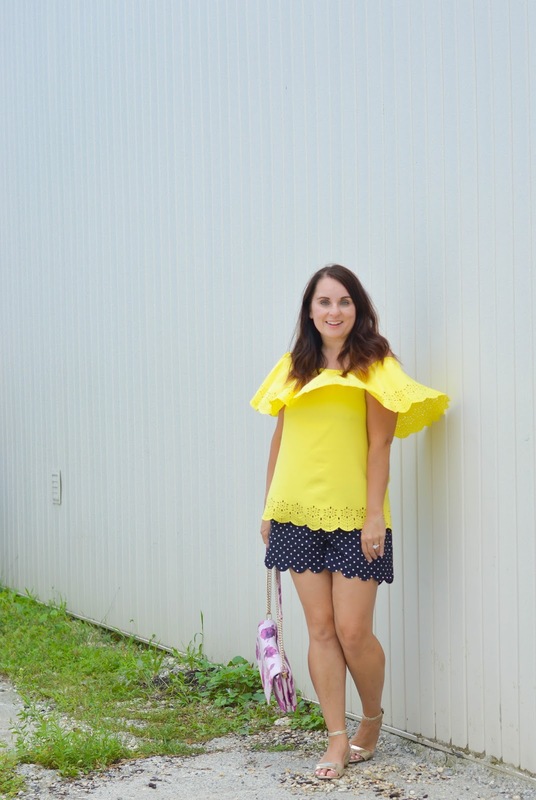 Ok so it's been rather warm here this week still, so I have sneaked in a few last summer looks. I actually have a couple great dresses coming up in the next two weeks that are very much summer looks. 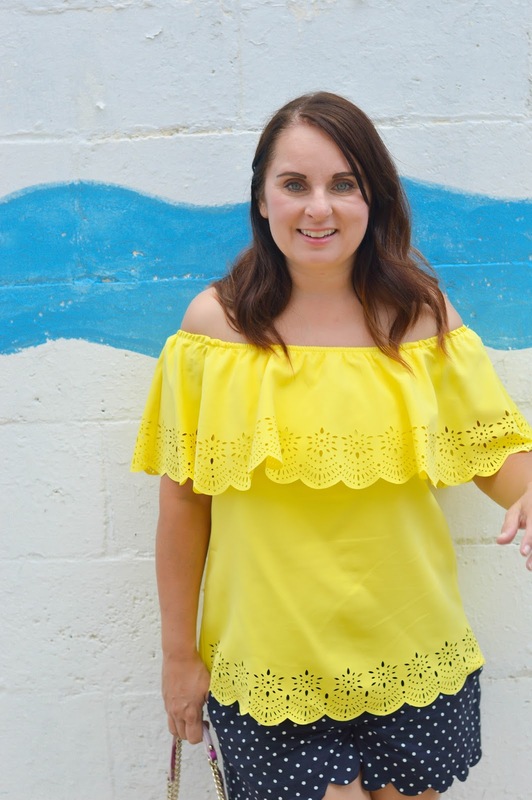 Today let's talk yellow! If you think yellow is 'not' your colour, maybe you haven't tried the right shade for you. 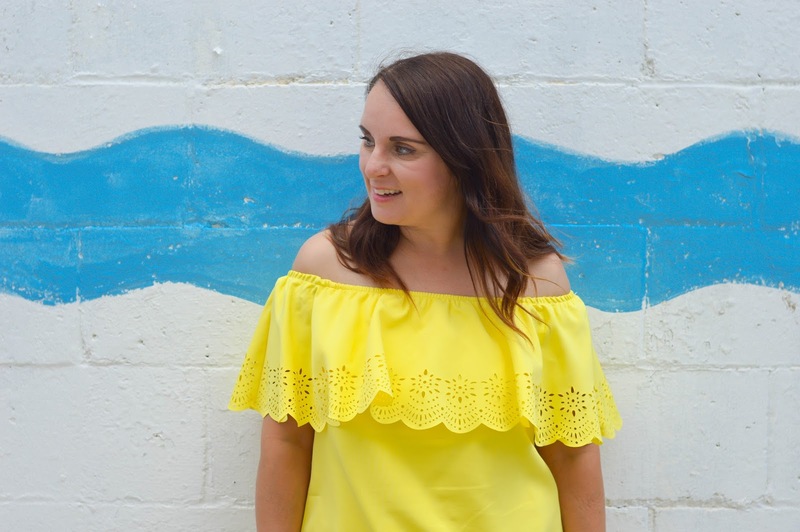 I personally love yellow, I find mustard yellow, lemon yellow, or almost pastel yellow tones seem to work with my skin tone. 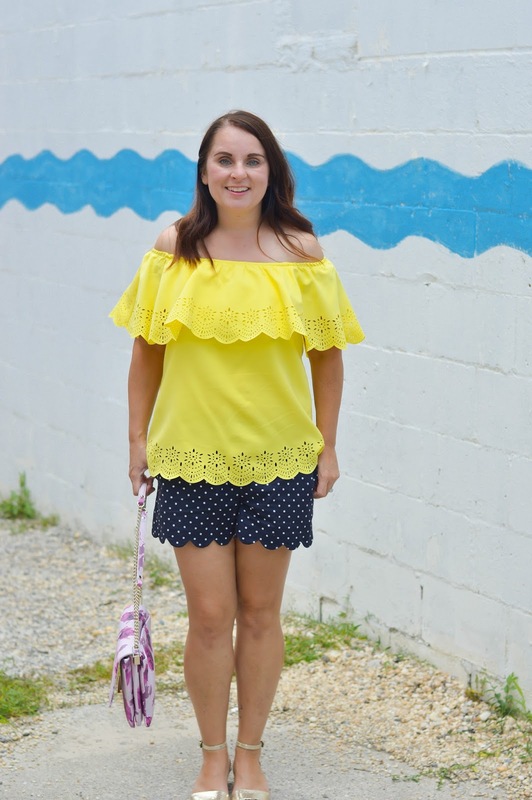 I can easily wear a yellow top with a dressier pant for work, dark or light denim, and these super cute scallop shorts! 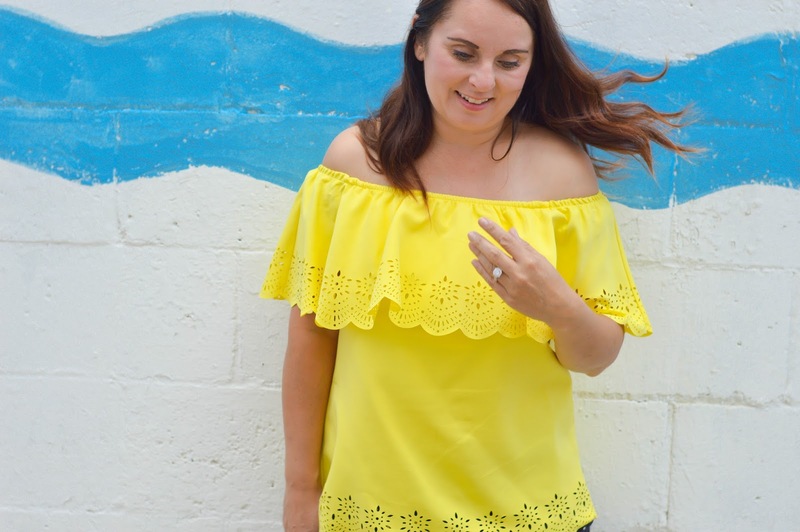 This yellow top has become a fave of mine this season, and I even wear it so it's more short sleeve looking rather than off the shoulder. 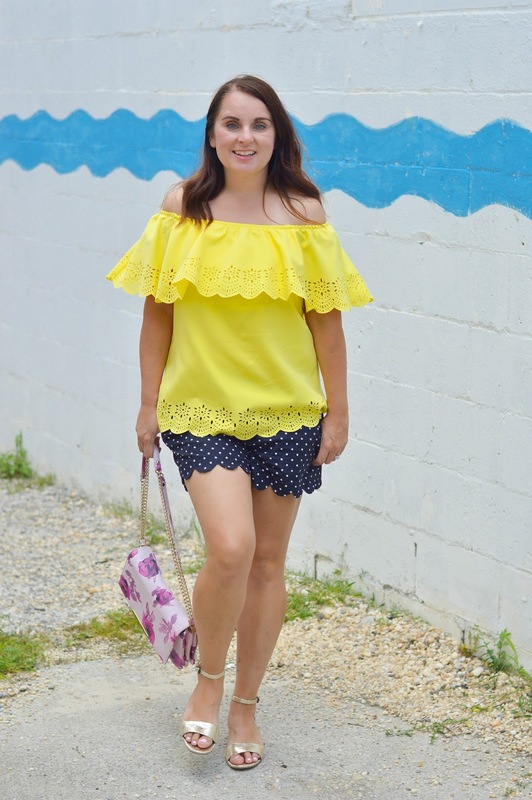 For under $20 definitely give yellow a second look.